Here are some things learned climbing Kilimanjaro 25 times. The main one is I am still shocked that very few people know anything about going to low oxygen environments. Going to extreme altitude above 5,500m / 18,000 feet is potentially very dangerous and you need to be informed. 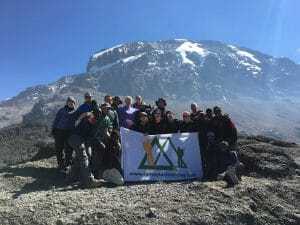 It is an amazing personal achievement for me to climb Kilimanjaro 25 times. My goal is to climb Kilimanjaro 50 times and help raise funds for the work of Fields of Life in East Africa. Some climbs have been easier than others but once I have 8 days on the mountain and train 5/6 days a week I give myself the best chance. When I don’t have enough time to train and prepare I definitely notice the difference. So come prepared. 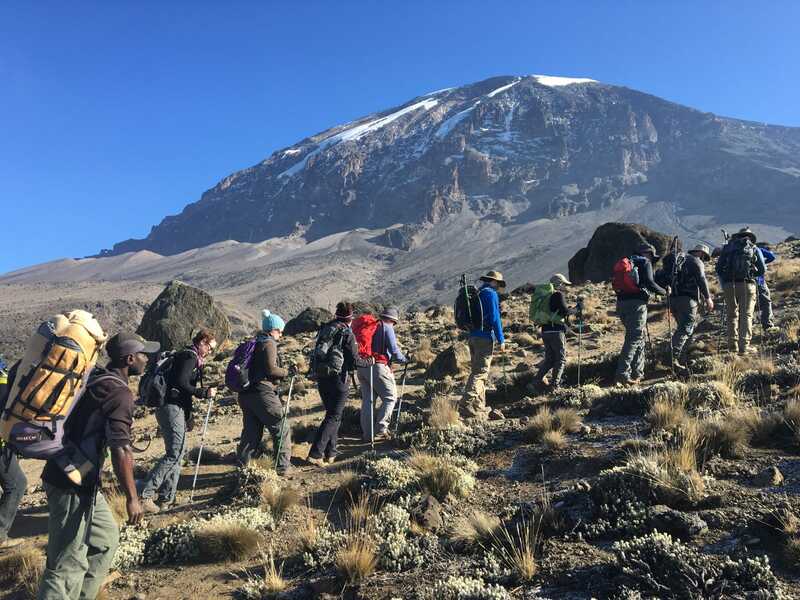 Understand altitude, understand pacing, breathing and work hard in your training so you can enjoy not endure the Kilimanjaro climbing experience. We can help you. 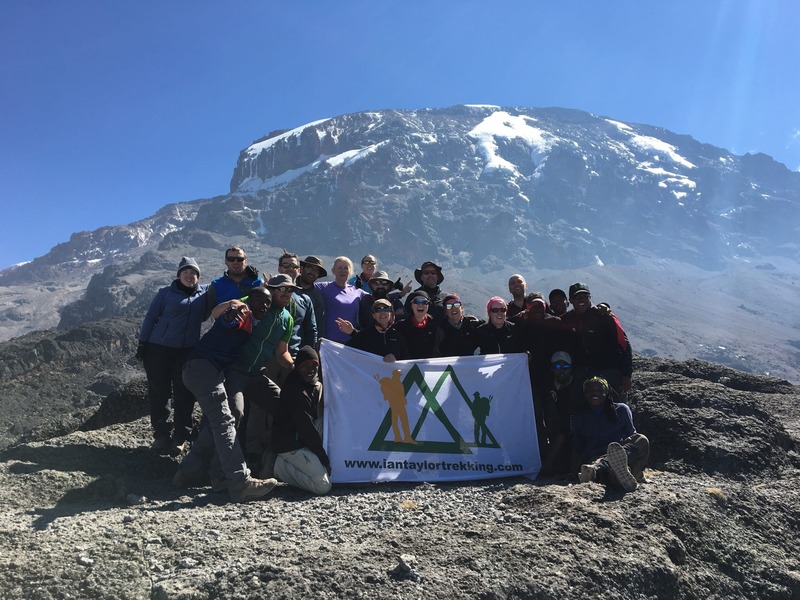 With more and more people going to climb Kilimanjaro with less and less training and preparation it certainly is a massive risk to yourself, staff and safety on the mountain. 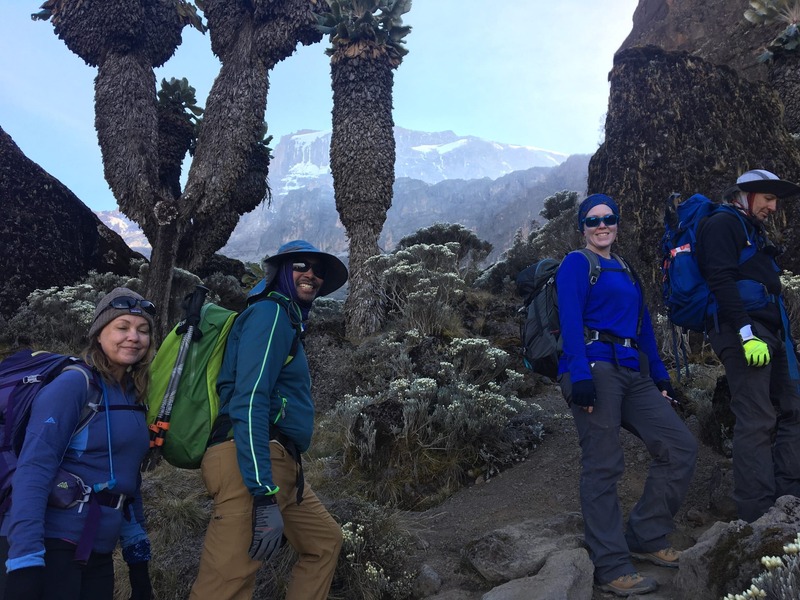 I highly recommend that everyone spends 8 days on the mountain and I suggest you use the Lemosho route which gives the most scenic views of Kilimanjaro. I have climbed Kilimanjaro in 5, 6, 7 and 8 days and really 8 days in needed to give yourself the best chance at success. Once you have made the smart decision to climb over 8 days you need to physically prepared. You need to be training 5 days a week, giving specific attention your your core, quads, calf’s and overall body strength. The 2 most important things you need for a success high altitude ascent is 1). The best acclimatization possible. 2). excellent overall strength. Fitness is not the most important. You need to be training 8 to 10 hours per week including one longer session with weighted pack packs. Here is the training I recommend. Feel free to call me and lets chat. Over recent years, 2010 to 2018 I have noticed the temperatures have been a warmer on summit night. 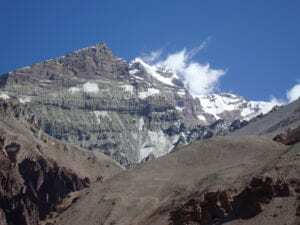 The coldest temperature we experienced were – 12 Celsius and on this climb the coldest temperature was – 4 Celsius and once the sun came up it warmed up quickly as was above freezing by 9am in the morning. We had one person over heat on the summit night so regulating your temperature is really important on the summit night. The glaciers are getting smaller and smaller each year and soon they will be gone. 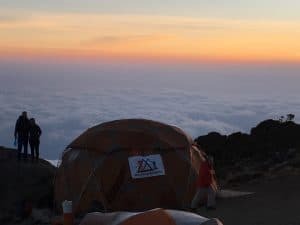 Read more about the best time to climb Kilimanjaro. We wrote these top 10 tips 7 years ago and they are more relevant than ever. If you want to be successful climbing Kilimanjaro you will implement these tips and you will give yourself the best chance at safely and successfully reaching the summit of Kilimanjaro. 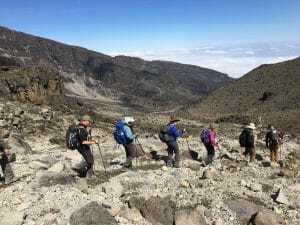 Things learned climbing Kilimanjaro 25 times. We can not stress enough how important it is to pre-hydrate and stay in a well hydrated state while climbing Kilimanjaro. LEARN MORE and why hydration is critical at high altitude. This is not optional it is mandatory. Things learned climbing Kilimanjaro 25 times. I witnessed a lot of groups trying to climb in 6 and 7 days and people struggled to cope the long days and quick ascent to high altitude. Picking an itinerary with more days gives your body to better adapt to lower levels of oxygen and gives you a safer passage to extreme altitude above 5,500m/ 18,000 feet. We can help you get trained and ready for your and 2019, 2020 or 2021 climbs. You will see companies saying they pay the staff correctly, we know they don’t. We have their guides coming to us looking to work for us on every trip we run, because they can not get paid correctly and tips are handled in a back office. Meaning staff are getting stiffed. They don’t provide them with clothing, boots and equipment. We have hundreds of staff coming to us monthly looking to join our team. We have had the same head guide, guides and team for 8 years straight. Yes, we are more expensive but that is because we pay the staff above the normal rates. We have 100% on most of our 20 to 25 climbs per year. Ian Taylor Trekking have people coming from around the world to join our world class team on the mountain. Don’t be fooled by cheaper prices and companies saying they are looking after their staff. Most are cutting corners and cutting from the important staff that get you up the mountain. 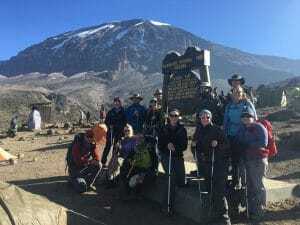 Things learned climbing Kilimanjaro for the 25th time is based off a wide range of information working with a range of people over numerous routes and days spent on the mountain. 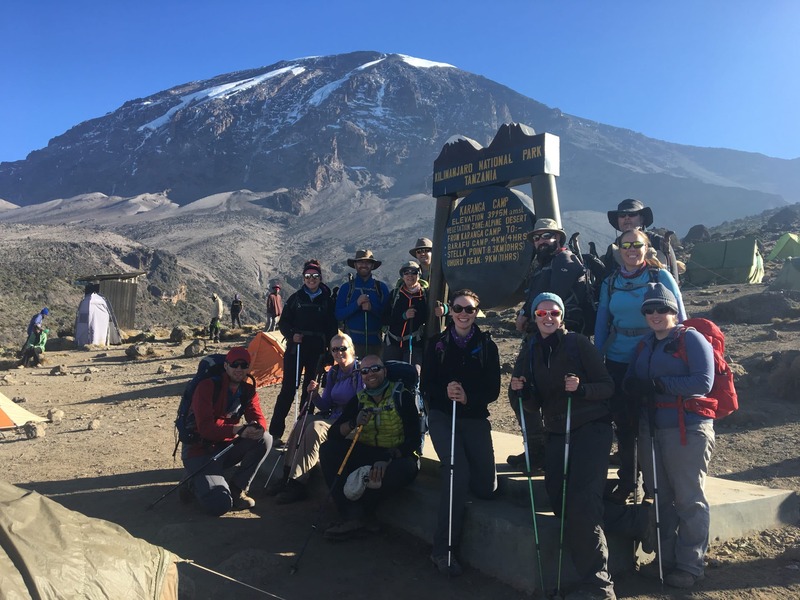 READ MORE important information about climbing Kilimanjaro and then drop Ian and E-MAIL and start getting the right information about climbing Kilimanjaro. Be informed.